Reduce cost and improve profitability by getting real-time visibility across supply-chain processes. Real time supply chain analysis has become mainstream. To act in highly volatile economic conditions, companies need to harvest real-time data for making right choices. Current business environment is inflicted with continuously rising fuel cost, recession, supplier’s shifting base offshore and increased competition from low cost outsourcing. Companies also face challenges with multiple global systems in place, pricing pressure and customer’s expectations. Supply chain defines a company’s bottom line. Having a highly optimized supply chain analytics software in place is critical for company’s growth and profitability. Organizations are becoming more interested in enhanced forecasting and S&OP (sales and operations planning). However, the data generated by multiple systems in these areas has to be highly accurate and real-time. An intelligent supply chain analytics software can help companies to delve deeper into the ocean of supply chain data which can be used to make informed and profitable decisions. 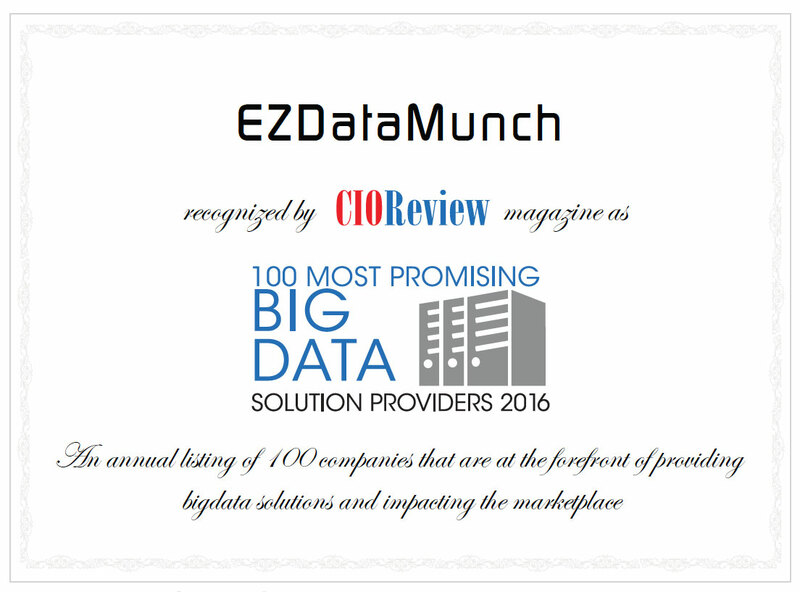 With EzDataMunch’s Supply Chain Analytics solution, companies are able to get end-to-end and real-time visibility into their supply chain processes. Critical factors such as supplier selection, evaluation and supplier performance monitoring is an integral part of supply chain analysis. Also, spend analysis, material management and inventory can be viewed in a single supply chain dashboard to make data driven decisions. Our solution help clients to meet demand, reduce cost and increase profits. Growing volatility, changing customer’s demand and expectations and ever increasing competition has created a highly pressurized situation for organizations. They are on a lookout to save money and find better suppliers for their purchase. Availability of multitude of suppliers in the market, both onshore and offshore has given the edge to companies to source from the best supplier that provides value and quality. 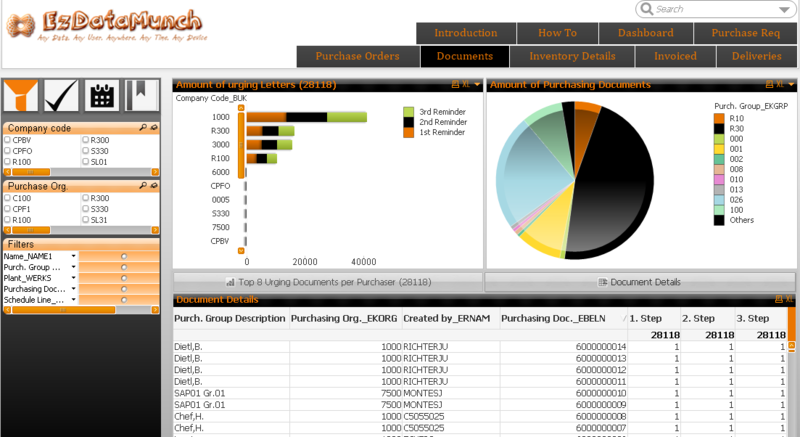 Analyze spend as per supplier’s group, item wise spend and location wise spend. Reports can be drilled down as per item SKU’s and item class. 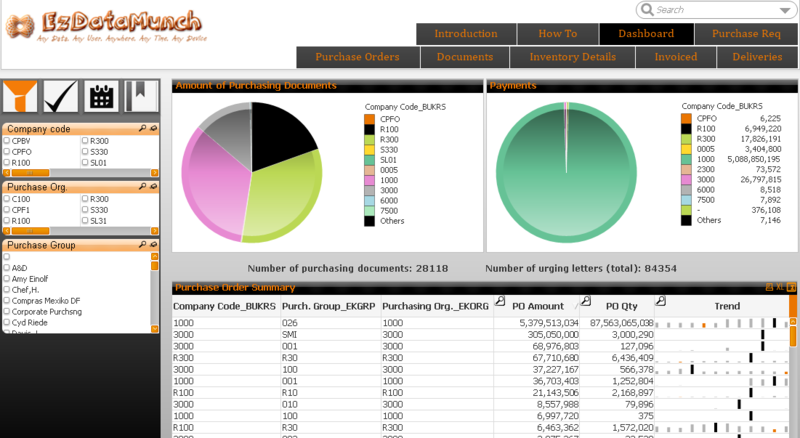 Get detailed information about every individual supplier based on item class, location and total spend, value contributed for a specific finished product by each supplier and total number of supplier’s or supplier’s density per item class. Calculate average and total spend on every supplier and compare the data as per week, month and year. Evaluate supplier’s performance based on industry parameters and organization’s rules. Rules comprises of on-time delivery, item quantity, item quality and price. Analyze monthly and yearly spend trends. Track changes in the levels of engagement with suppliers and price variance over time. Get detailed insight in total spend. Report includes item cost, purchase date, standard cost, units ordered against units received, and discounts. What if analysis to understand impact on profitability by creating multiple pricing scenarios is one of the most important feature of supply chain analysis software. Incessant increase in demand volatility has made inventory and demand management a challenge. Industries depending on supply chain are inflicted with mediocre forecast. Traditional methods of inventory and demand management are no longer a profitable option. Demand management varies as per the industry type. Like in some industries, real time data is highly critical to match market for pricing and quantity. Whereas in other industries, keeping replaceable or warranty stock is important. Get detailed information about all the purchasing documents differentiated as per company. Check total payments received or made for materials purchased or sold. Get a drilled down view on all the purchase orders. Information included are purchase order amount and quantity. 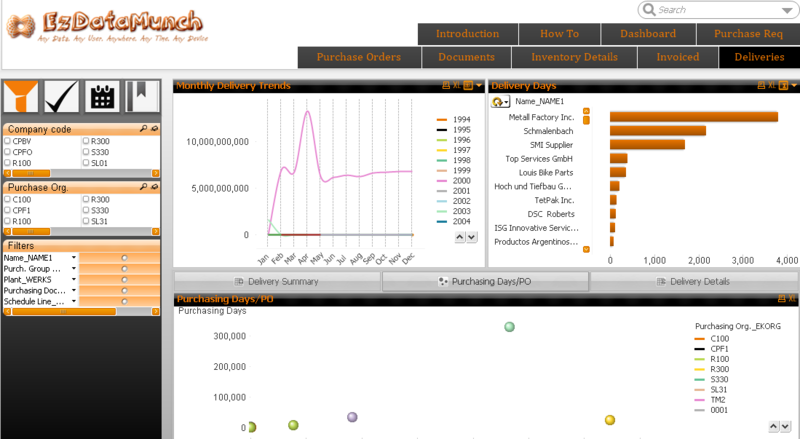 Analyze purchase order trends to track and monitor fluctuations. Check total volume of urging letters per company and gauge urgency based on number of reminders. A smart supply chain analytics software also allows comprehensive insight in total deliveries made. This data can be compared with previous month’s or last years data to track and monitor trends in delivery. Analyze time difference from getting a purchase order to actually fulfilling the order. Get complete view of total inventory and drill down as per the period to compare changes over time. View information such as inventory type, manufacturer, total quantity, total cost, quantity utilized, sales value and more.